Sometimes making art is about as exciting as watching paint dry. This is usually when I am literally watching paint dry. 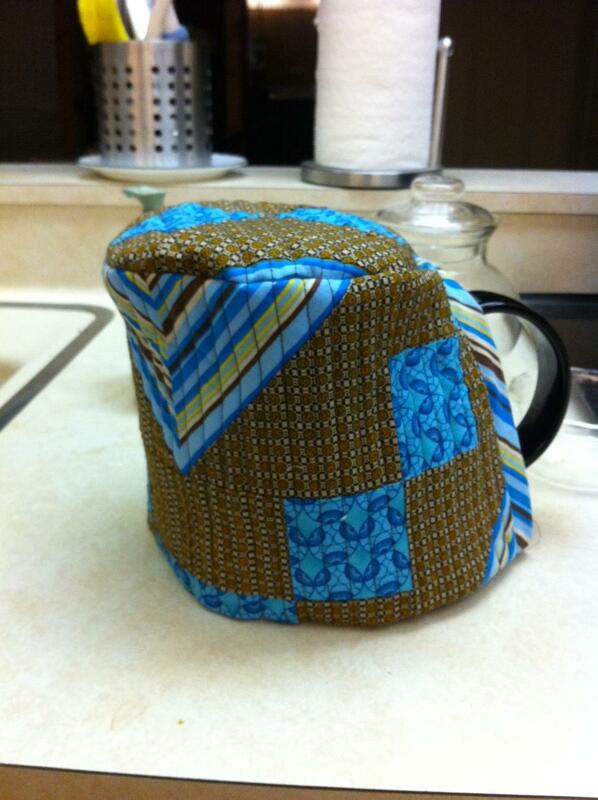 During times like these, it is good to know that I possess the materials and skills necessary to create a tea cozy. This entry was posted in sewing and tagged postaday2011, Quilting, sewing, stashbusting, Studio droppings, Tea cozy. Bookmark the permalink. Just love it and I see your Mom does too.